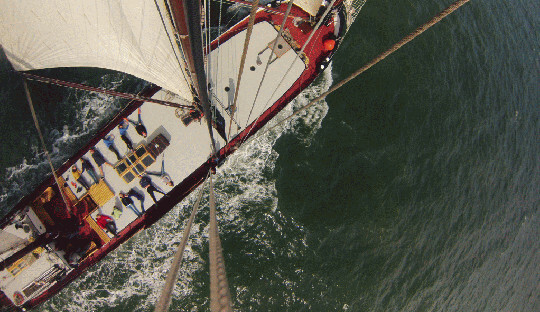 Sail on the Dutch Shallows for a sailing adventure. 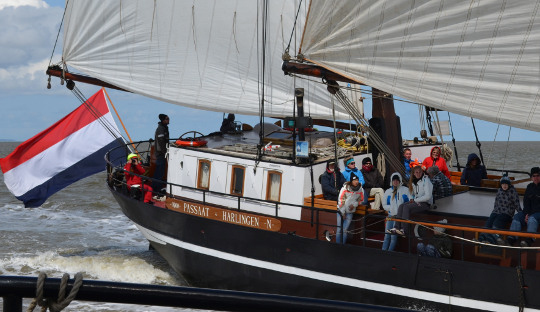 Enjoy a sailingweekend on board the Passaat, the Aldebaran or the Poseidon. 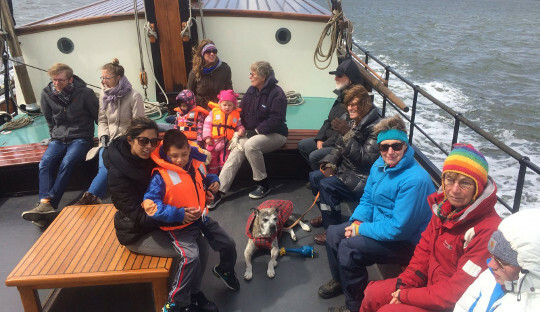 Under the guidance of the dedicated crew, you will sail to one of the fabulous islands of Terschelling or Vlieland.. 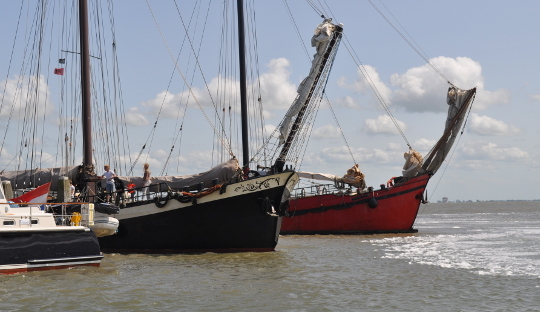 Please arrive at Willemshaven harbour in Harlingen by 9 p.m. 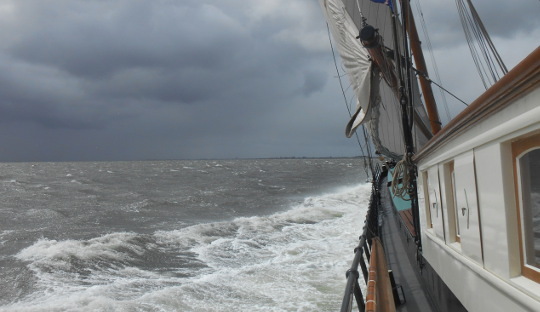 The ship will sail on saterday after breakfast heading for one of the Wadden islands Terschelling or Vlieland. After a few hours of sailing, the ship will moor on the island. On Sunday, the ship will depart for the return trip to Harlingen after breakfast. The ship will moor in Willemshaven harbour in the course of the afternoon. You will spend the night in a 2-person or 4-person cabin. The beds are provided with duvets, and a towel set will be ready for you in the cabin. The weekendpackage of Zonnewind Sailing Trips is all-inclusive, so you do not have to worry about meals. On Friday, you will have coffee and some drinks. On Saterday and Sunday, you can enjoy breakfast and lunch, and on saterday diner is served. Tea, coffee, soft drinks, beer and wine are included throughout the weekend. We appreciate a helping hand from passengers on deck and in the galley! A minimum number of passengers is required for a package. This minimum number is 12 and the maximum is 30 participants. Embarkation on Friday 9 p.m. You will moor in Harlingen on Sunday afternoon at 5 p.m.
At Willemshaven harbour in Harlingen, easy and cheap parking is available at the BDS parking area at Westerzeedijk 7 8862 PK for €7 a day. Reservations can be made via parkeren@bds-harlingen.nl or on telephone number +31/(0)6/23372947. want more Zonnewind? follow us!